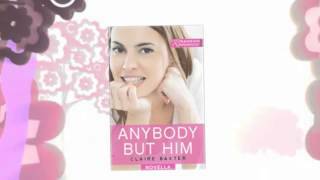 Claire Baxter writes contemporary romantic fiction of all lengths. Her short stories have been published in commercial women’s magazines around the world, while her novels have been translated into 20 languages, and have finalled in the Romance Writers of Australia's Romantic Book of the Year Award, the Booksellers’ Best Awards, the RT Book Reviews Reviewers’ Choice Awards, and the Cataromance Reviewers’ Choice Awards. Claire grew up in Warwickshire, England, but for more than 20 years has called Australia home. She considers herself lucky to live near one of Adelaide’s beautiful metropol Claire Baxter writes contemporary romantic fiction of all lengths. 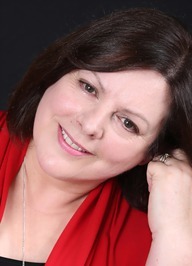 Her short stories have been published in commercial women’s magazines around the world, while her novels have been translated into 20 languages, and have finalled in the Romance Writers of Australia's Romantic Book of the Year Award, the Booksellers’ Best Awards, the RT Book Reviews Reviewers’ Choice Awards, and the Cataromance Reviewers’ Choice Awards. The eARC of LOVE ON LOCATION is now available at NetGalley. Reviewers, if you'd like the link, please message me and I'll send it to you directly. We’d love your help. Let us know what’s wrong with this preview of Charlotte by Virginia Taylor. We’d love your help. Let us know what’s wrong with this preview of Wenna by Virginia Taylor. We’d love your help. Let us know what’s wrong with this preview of A Catch of Consequence by Diana Norman. “With a shudder of excitement, and without giving herself a moment to second-guess what she was about to do, she reached up to take his face in her hands and pressed her lips to his. For a frozen moment he didn’t react, and she could feel her heart thudding in her throat, but then he groaned into her mouth and pulled her tightly against him. And God, he was a good kisser. She’d certainly never been kissed with such expertise. Somehow he was making her feel the kiss in places he wasn’t even touching.